Korea Western Power Co. (WP) President Kim Moon-duk said his company plans to accelerate its efforts to secure future growth engines. In his New Year’s message, WP CEO Kim said the company has declared the year 2011 as the first year for pushing for the creation of new future growth engines in earnest. “Business conditions facing WP this year are getting worse,” he noted. Kim noted that competition with independent power producers (IPP), previously limited to integrated gasification combined cycle (IGCC), has now expanded to IPP-run bituminous coal-fueled power plants in the base load category, as stipulated under the fifth national power supply plan. WP also has to deal with such issues as a reduction caused by handing over the operation of pumped power plants to Korea Hydro and Nuclear Power Co., the safe management of aging facilities and the expansion of new and renewable energy facilities to meet renewable portfolio standards (RPS) as well as the government’s designation of power companies as market-oriented public enterprises. “These crises could turn into opportunities. How to cope with them will serve as chances for WP to be reborn as one of the best power companies by translating crises into opportunities,” Kim said. To this end, he stressed four points. First, Kim urged his executives and staff to be faithful to the basics: a change in the way of thinking. He said WP’s main task is to ensure a stable supply of power, so aging power generation facilities need to be operated in a more stabilized fashion by making the most of the expertise WP has so far accumulated. He added that WP has to concentrate on endlessly searching for weak points and finding solutions to stabilize the operation of the facilities without breakdowns by capitalizing on the accumulated knowhow on their features. Second, he said, WP has declared the year 2011 as the year for pushing for the creation of new future growth engines in earnest. The president said WP has decided to undertake the projects to build Taean Thermal Power Units Nos. 9 & 10 as well as the Tongducheon Combined Cycle Power Plant while planning to launch the Garolim Tidal Power Plant and the IGCC Power Plant this year. Projects to construct new facilities become the cornerstone for rebuilding WP into a better company by expanding external growth, and to this end, the newly-established Taean Thermal Power Plant Construction Headquarters will lay a foundation for securing growth engines through timely groundbreaking and completion. 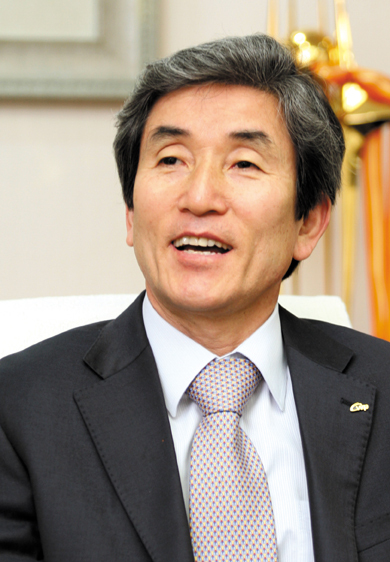 The power company strives to make seamless preparations for implementing strategies to diversify businesses in Korea and abroad, including plans to carry out businesses related to power generation while actively pushing plans to develop manpower capability, a principal factor in commercialization, he added. Third, he said, WP will redouble its efforts to ensure merit-based management. The government’s designation of power companies, including WP, as market-oriented public enterprises is equivalent to tremendous changes since competitors have increased in number and the differences of bonuses have widened as compared to previous years. WP’s goal is to make great achievements among both the five power companies and all the public enterprises in Korea, so it badly needs to overhaul its institutional foundation. In this regard, the president said, WP will strive to ramp up the way the company is operated on a merit-based system, so staff members who achieve higher outcomes will be given higher compensation or vice versa. The power company is seeking to establish a corporate culture in which staff members can make efforts on a voluntary basis by exactly evaluating and compensating efforts to create such public values as shared growth and the realization of a just society. 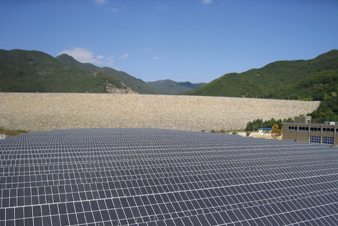 (right) WP President Kim Moon-duk and the photovoltaic power plant in Samnyangjin, Gyeongsangnam-do.